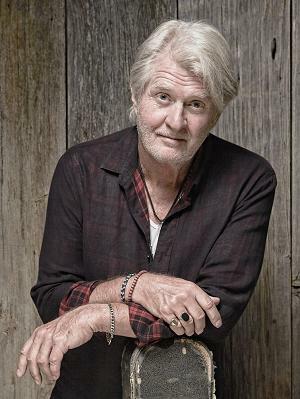 Tom Cochrane has enjoyed success on many levels. An 8-time Juno Award winner, his face graces the Canadian Music Hall of Fame and his footprints the Canadian Walk of Fame. Widely recognized for his charitable nature, Cochrane is an Officer of the Order of Canada, an Honorary Colonel in the Royal Canadian Air Force and proud of his Honorary Doctorate from Brandon University. But, his path from humble beginnings in the small mining town of Lynn Lake, Manitoba, where Cochrane was born in 1953, to Canadian cultural icon was no cakewalk. By the time Cochrane was 12, he had written his first song and bought a guitar with the proceeds from the sale of a model train set. He sang folk-oriented musings in the coffee houses of Toronto's Yorkville district and wrote themes for a movie in Los Angeles. “The more perseverance and dedication you have, the more success you'll have,” says Cochrane. “You have to draw on that childhood exuberance.” That work ethic got road tested as Cochrane took odd jobs driving taxi and washing dishes to scramble over music's unavoidable humps of sporadic gigs and erratic pay cheques. The pieces finally fell into place in 1978 in the El Mocambo Tavern in Toronto, when Cochrane joined Red Rider. For more than a decade, his earnestly expressive singing and hit song writing lead the group to gold albums and rock-radio fame. On his own, Cochrane carved a legendary legacy. Among the top Canadian albums of all time, his debut solo album, Mad, Mad World (1991) sold 6 million copies. In 2016, Cochrane celebrated its 25th anniversary with a special double CD release of the ground-breaking album.